ACP Kalyan Sinha is transfered to Hyderabad. But his negative attitude makes trouble for the Police Department. Why is Kalyan Sinha behaving like this, and is there a hidden agenda in his mind. 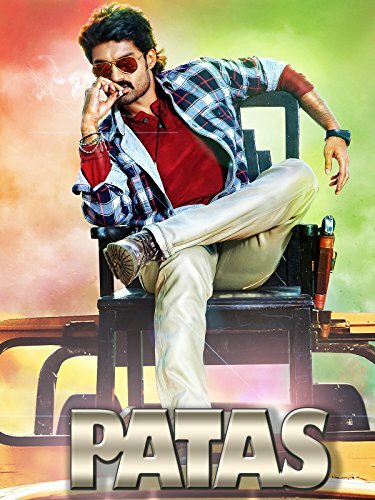 after long time, kalyanram has got a massive hit with his latest film PATAAS, this film is completely entertaining with all aspects, as there is no storyline,director anilravipudi does his best with his debut film,late MS.narayana has done his last film with his decent comedy, sreenivasa reddy role is also quite entertaining, heroine shruti sodi has nothing to do in this film,she attracted mass audience with her glamour role, songs are OK,kalyanram is the major plus point for this film, his energetic performance as a cop was awesome, senior actor saikumar also entertained in his role,finally i say, PATAAS is non stop comedy entertainer, Nandamuri Kalyanram is back with "PATAAS" after a long time.In this he changed his look, getup,body language,style and everything looks fresh.Entire credit to goes to anil ravipudi who is new to industry but taken this film into a next level. I hope he will be having a very good bright future in the industry.Srinivasa redddy comedy and saikumar punch dialouges will be a big asset for the film,if you wanna watch a film that is 100% entertaining that is " patas", go and watch it.